In this post, we’re going to walk you through what ERC20 tokens are, the properties required for a project to be ERC20 compliant, common functions, and where you can purchase and trade ERC20 tokens. If you’re new to blockchain and some of the terms making up its composition, don’t worry, that’s what this post is geared towards. Hopefully, you’ve heard of Ethereum, the longstanding number 2 to Bitcoin in terms of market capitalization (now sitting at number 3 thanks to Ripple’s meteoric rise in 2018), as it is at the very heart of today’s blockchain ecosystem and vital for this post. Deployment of Dapps (decentralized applications). Broken down even further, smart contracts are a comprehensive computer protocol, which governs/defines parameters/penalties of a transaction, while automatically enforcing its terms, while Dapps are open-source applications based on the Ethereum network which are infinite in possibilities (ex. Think of CryptoKitties). Alright, now that we’ve gotten that out of the way, let’s get into what ERC20 tokens are and the core properties required for their inclusion in the Ethereum blockchain. After all, ERC20 tokens and projects still make up the bulk of today’s top 100 market cap. The Facts: What are ERC20 Tokens? Where Can I Buy & Trade ERC20 Tokens? Simply put, ERC20 tokens are the coins and projects which are based on the Ethereum network and follow a core set of principles and properties in order to increase overall clarity and uniformity on the blockchain. So, what does “ERC20” stand for? 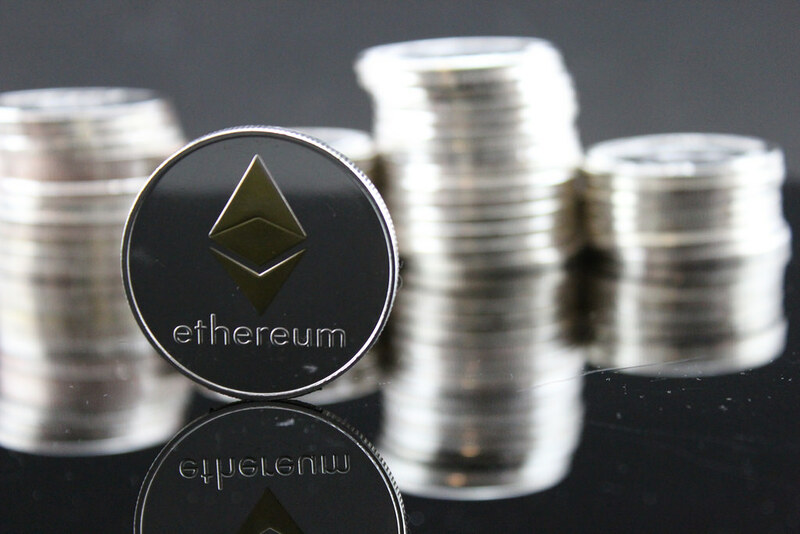 ERC20 stands for “Ethereum Request for Comment,” which simply is the allusion to the requisite technical properties and standards tokens must follow in order to crease and deploy smart contracts on the Ethereum network. The ERC20 standard is geared towards creating a harmonious and stable network, where projects and tokens abide by the same rules and standards. And, with the number of Dapps created and deployed across various blockchains (there were over 250 live Dapps as of January 2018), it’s integral to have at least a bare minimum standard of stability, otherwise the network and blockchain could ultimately falter – failing to facilitate essential and simple transactions in an adequate and timely fashion. According to Etherscan, a popular Ethereum blockchain explorer and analytics tool, as of May 2018, there were over 83,000 ERC20 tokens in Ethereum’s robust ecosystem. This is no small scale operation. Now, let’s turn to some of the common functions and properties required by the ERC20 standard. Let’s break down what ERC20 tokens are with a basic example. Say you have three motorbikes, all of which are produced and manufactured by different companies (ex. Suzuki, Harley Davidson, and Honda). Each one will inevitably require the use of its own, unique key, to unlock and drive it. The implementation of the ERC20 standard cuts out such fragmentation, equalizing properties and functions across the board (including the unlocking/powering key!). Now, we’re going to take it one step further. Imagine you have two motorbikes which were even manufactured by the same company. You’ll still need two individual keys to unlock and drive both. The ERC20 standard is essentially the gorilla glue which connects otherwise “unconnectable” projects and motorbikes – sanctioning users and drivers to seamlessly navigate the switch between two differing mechanisms/projects. Uniformity and simplicity is the name of the game. Specifically, in order for a project or token to be considered an ERC20 token, it will need to have at minimum, implemented the following six functions. This is a function indicating the total supply of all coins and tokens in circulation, with parameters defining how many may be mined/created. This function is known as a public constant for the storage and return of tokens to a user’s address. Such address will be public in furtherance of blockchain’s ethos of validity and transparency. This function enables the approval of withdrawals for addresses trying to withdraw ERC20 tokens. This function authorizes the transfer of ERC20 tokens from one address to another. TransferFrom boasts a similar purpose to transfer(), however instead of users having to manually transfer ERC20 tokens from one address to another, it automates the process – eliminating the need for transactions to be approved by hand. When a transaction is on the brink of execution, the allowance function is prompted, checking a user’s balance and overall token supply to determine whether it’s enough for the transaction. Name: A function that may be utilized in instances where the owner wants to broadcast the full name. Decimals: This determines the number of decimal places a token or coin may be calculated to. On the Ethereum network, the consensus seems to be set at 18 decimal places. Curious about how to issue your own token on the Ethereum blockchain in less than 20 minutes? Check out this Medium article which walks users through just how to do so. And, if you’re looking to read up further on the mandated functions further, check out https://theethereum.wiki/w/index.php/ERC20_Token_Standard for a comprehensive overview. Finally, for the ultimate ERC20 token list, head on over to Etherscan to check up on the various tokens out their and their market capitalizations. There’s no shortage of options for users looking to purchase and trade ERC20 tokens in today’s cryptocurrency trading exchange ecosystem. When first starting out investing in cryptocurrencies, we strongly recommend signing up with a reputable centralized exchange, as at present, they enjoy higher volume and liquidity – meaning, your order will almost always be filled and in a matter of minutes. Keep in mind, unless the exchange or platform you’re using offers the direct purchase of ETH or BTC with a credit/debit card or wire, you’ll likely need to purchase your crypto on a popular platform (ex. Coinbase or CEX.io) and then transfer to the exchange you’re looking to trade ERC20 tokens and other altcoins on. Below are two popular centralized exchanges to purchase and trade ERC tokens on, and one decentralized exchange (for the more adventurous and experienced. Binance: The largest and one of the most reputable of all crypto exchanges in today’s blockchain ecosystem. Binance has evolved into the go-to exchange for almost everything crypto, and boasts a healthy share of ERC20 tokens. Furthermore, they are actually in the midst of developing their own decentralized exchange, so it might not be a bad idea starting with them and then transitioning to their DEX once you become more experienced in the space. OKEx: Actually, at date of publish (December 13, 2018), OKEx has edged out Binance in adjusted volume according to CoinMarketCap.com. OKEx services over 20 million customers in 100 countries, so there’s a good chance your country is covered by their reach. And, they support over 100 types of tokens for users to trade and invest in, making them an attractive option for users looking to trade ERC20 tokens. IDEX.Market: IDEX.Market bills themselves as the only Ethereum decentralized exchange which supports real-time trading and high transaction throughput. Specifically, IDEX is one of the most advanced Ethereum decentralized exchanges, and supports market and limit orders, gas-free cancels, and the ability to fill numerous trades at once. So, if you’ve purchased cryptos and ERC20 tokens on centralized exchanges before and are looking for a more secure platform to continue on, we strongly recommend checking out IDEX.Market. So, there you have it. Your ultimate guide to ERC20 tokens. We’ll be releasing a piece soon on the best Ethereum wallets and wallets to store your ERC20 tokens on, so stay tuned! If you’re a blockchain company or law firm and are looking to increase your online presence and visibility, reach out to Blockchain SEO today to schedule your free website diagnosis and consultation. You can reach us by filling out our contact form online or by emailing us at owen@blockchainseo.net.